Almost an essential in today’s working environment is to have heavy equipment mobile on construction sites. 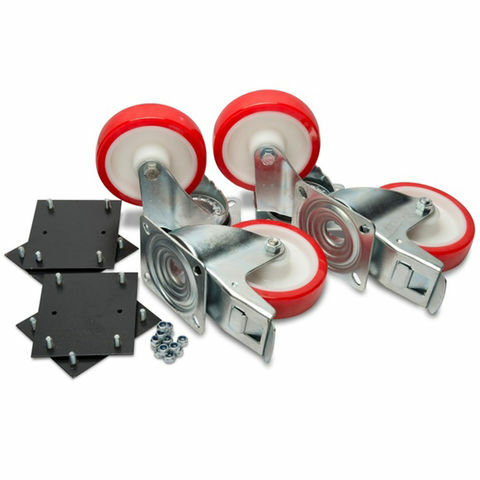 These heavy-duty 6” castors with a weight loading of are easy to fit with the quick fit fixing kit, using the pre-drilled holes and castor plates. An easy add-on for the heavier armorgard products. 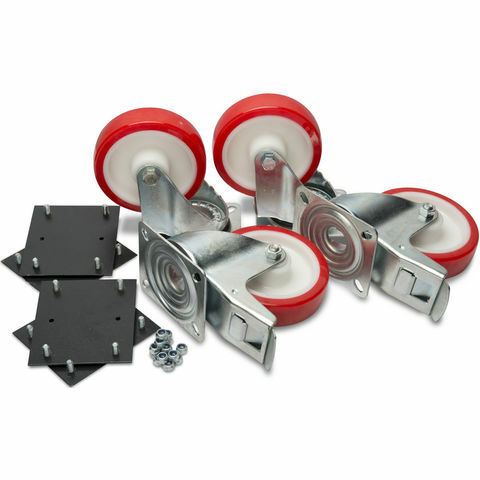 A set of four 6 inch heavy duty castors, provided with fittings that feature a load capacity of 350kg per wheel.